For more than three decades as both a leader and a sideman, conguero Poncho Sanchez has stirred up a fiery stew of straightahead jazz, gritty soul music, and infectious melodies and rhythms from a variety of Latin American and South American sources. His influences are numerous, including some of the best Latin Jazz artists in history. 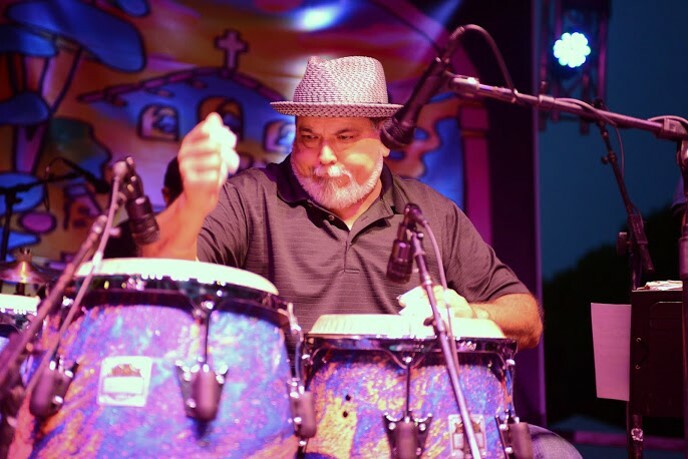 If music were about pictures, percussionist Poncho Sanchez’s music would best be described as a kaleidoscopic swirl of some of the hottest colors and brightest lights to emerge from either side of the border. At any given show, on any given record, fragments of Latin jazz, swing, bebop, salsa and other infectious grooves collide and churn in a fiery swirl, with results that are no less than dazzling. Sanchez grew up in a suburb of L.A., where he was raised on an unusual cross section of sounds that included straight ahead jazz, Latin jazz and American soul. By his teen years, his musical consciousness had been solidified by the likes of John Coltrane, Miles Davis, Cal Tjader, Mongo Santamaria, Wilson Pickett and James Brown. Whatever the genre, the mesmerizing array of sounds and colors from Poncho Sanchez’s youth have telegraphed across the decades and continue to inform his creative sensibilities to this day. his over 20 year relationship with Concord Records has yielded two dozen recordings, a Grammy award and several Grammy nominations. 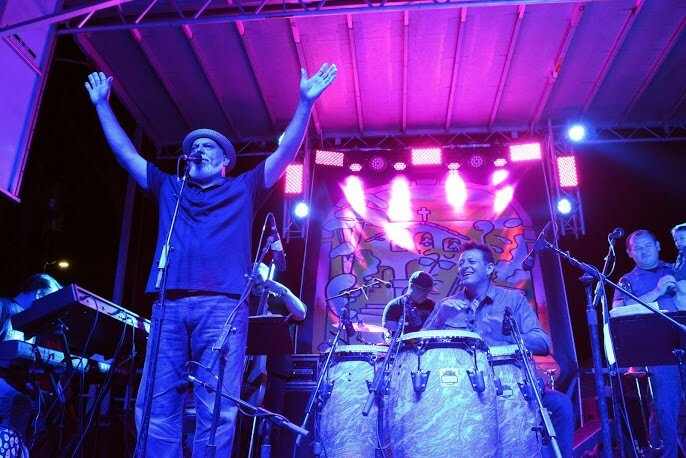 There are few bands that rival Poncho Sanchez and His Latin Jazz Band, and we're thrilled to present this fine enjoyable and danceable music at our main stage in the 4th Annual 2017 SLO Jazz Festival!